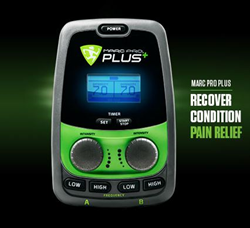 The Marc Pro is an electrical muscle stimulation device (EMS device) that is used to improve your performance, speed up muscle recovery and provide pain relief between workouts. The basis for post exercise recovery is the normalization of tissue through the movement of nourishment and waste. The Marc Pro is specifically designed to accelerate this process. 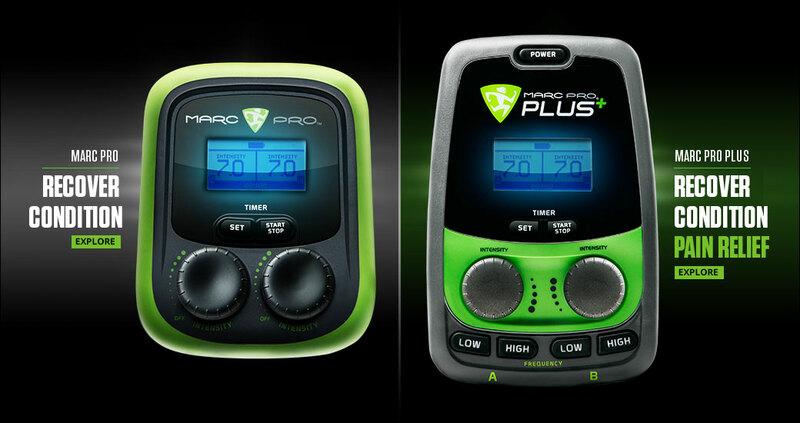 The Marc Pro muscle conditioning device creates unique, strong, but completely non-fatiguing muscle contractions that set off a cascading series of physiologic events. The process begins with the activation of Nitric Oxide (NO), which dilates blood vessels and leads to increased flow delivering more oxygenated blood and nutrients to the area. The lymphatic and venous systems also require and benefit from localized muscle activity. Because of this, using the Marc Pro after physical activity helps move the related waste and deoxygenated blood away from the fatigued area(s). This exchange of nourishment and waste, without stress or fatigue, accelerates the recovery of the muscle.